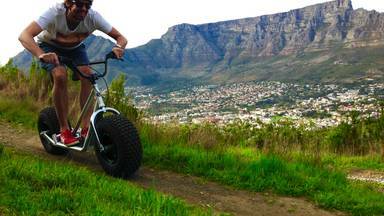 Holiday in Cape Town? Join us for a day out in the wine lands for an experience of a lifetime! 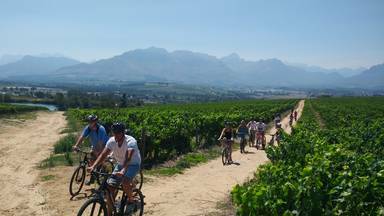 We do Wine Tours on a daily basis where we take you to some of the most prestigious wine farms in the Stellenbosch region. What a delightful experience, one I would definitely recommend to both local friends and tourists. ... - Kathryn Sakalis . What the locals say about Tuk Tuk Half Day Tour. What a delightful experience, one I would definitely recommend to both local friends and tourists. Our guide was knowledgeable about the wine farms and the wine and had the right balance between leaving us to ourselves and being there for us. Loved going on the Tuk Tuk, something different! It was also great arriving at the farms and having everything ready and waiting for us. We were particularly impressed with Glenelly, I would recommend keeping that wine farm in the mix, also NEIL Ellis. Both great wine farms with superb wine. After those 2, L-avenir's wines were a tad mediocre, although the setting is great. I'd bought the tour for my husband's birthday and it was definitely a gift to remember. We had the most brilliant time on our half day wine tour. We have recommended the tour to all our friends and family! Great experience with a very knowledgeable guide. It was a very nice tour. It was my first time and it was enjoyable, except for the hot day which is not in anyone's control.